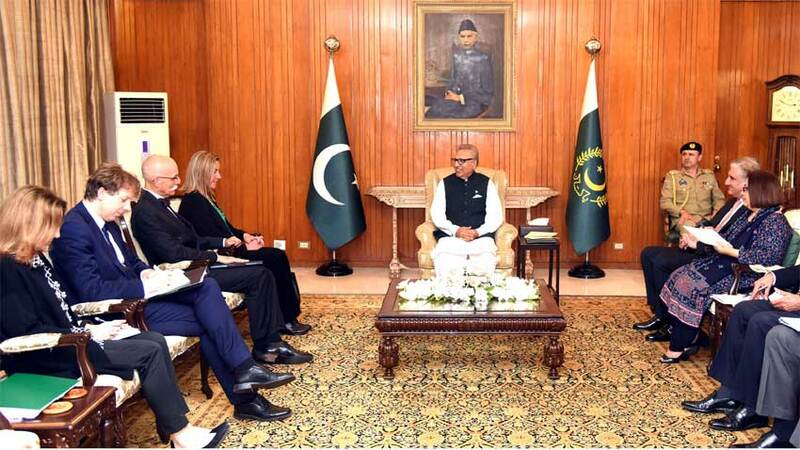 President Dr. Arif Alvi has invited the European Union to take advantage of improved business environment in Pakistan to invest in the country. He was talking to European Union's High Representative for Foreign Affairs and Security Policy Federica Mogherini, who called on him in Islamabad. The President said that Pakistan values its relations with the European Union. He said Pakistan has declared adherence to the Nuclear Supply Group Guidelines and also submitted its formal application for participation in the NSG. He stated that inclusion of Pakistan will bring tangible benefits for the non-proliferation regime.